WASHINGTON — Longtime Doyle Inn of Court member Neil M. Gorsuch was sworn in on Monday as the 113th justice of the Supreme Court. 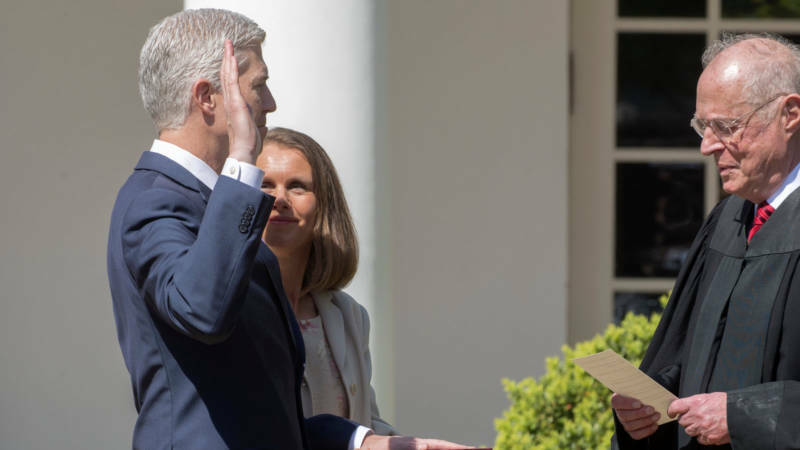 Justice Gorsuch, 49, took his judicial oath in the White House Rose Garden. “I promise you that I will do all my powers permit to be a faithful servant of the Constitution and laws of this great nation,” he said.